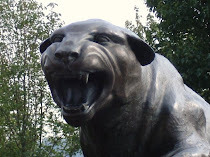 That's what Pitt did tonight in the 77-53 win over Robert Morris. With that win, Pitt moves to 66-0 all-time against NEC opponents. This might have been the last game in the series for a while. Robert Morris coach Mike Rice said he won't play the game next season unless it can be scheduled in November or December. Pitt likes having the game in the middle of the Big East schedule. I can understand why Pitt likes it in the middle of the Big East schedule. They may not say it, but it provides a respite from the tough conference schedule and can allow them to regroup if necessary. Not sure exactly why RMU NEEDS to have it earlier. I know that's the way these things are typically done, but I would think getting to play Pitt would be a big deal for them. They get to play a ranked team (usually) close to home and I'm guessing that's at least a small feather in their hat recruiting-wise. Pitt really connected from downtown for the first time in a while, hitting 10 of 22 threes. They haven't made that many since their win over Syracuse back on January 2nd. RMU played well in the first half but went a stone-cold 7-27 from the field in the 2nd half as Pitt's defense tightened up a bit. After leading scorer Karon Abraham went for 14 in the first half, the Panthers held him two only two in the second. After the half, he only had a limited number of looks and only registered three FG attempts. As RMU, you've got to get more shots for him - he was the main reason they were competitive in the first half. The Colonials, an NCAA tournament team out of the Northeast Conference last season, took advantage of Abraham's fast start to go ahead 19-13. The 5-foot-9 freshman had 14 points as Pitt led only 30-29 late in the half, but he wasn't a factor offensively the rest of the game. Once Abraham stopped scoring, the Colonials did, too. Pitt scored seven of the final eight points of the first half to take a 39-33 lead. Gilbert Brown's tip-in with 2:18 remaining _ his first basket of the game _ broke the 32-all tie and preceded Dixon's 3-pointer and Brown's own baseline drive. RMU did go on a pretty amazing 22-2 run in the 2nd half, but Pitt seemed pretty complacent and once they snapped out of it, took control once again. The thoughts that RMU could make this game competitive were, well, just silly. RMU is a good team in its own league. And sure, they've had their brushes of near minor upsets (Miami and a down Syracuse team in 2008 and Seton Hall in 2007. But it would really have taken a terrible effort of epic proportions by Pitt to lose this game. 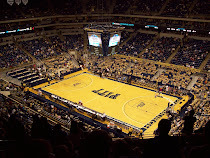 Pitt has beaten them by an AVERAGE of about 24 points per game in the past nine contests and even when RMU had an NCAA tournament team last year, Pitt took care of them pretty easily. The Travon Woodall/Ashton Gibbs story I've been discussing again played out the same way it did in the previous game. Gibbs played 32 minutes and Travon Woodall got 14. Gibbs responded with 20 points (the most he's had in five games) and Woodall responded with unspectacular minutes, but took care of the ball, only turning it over once. There's no reason to kill Gibbs and it looks like he might be better off playing around 30 a night. Jermaine Dixon also showed up with a nice game and 18 points. Pitt had their second very good game in a row, but as everyone knows, the competition hasn't been the strongest. The game with WVU on Friday will be a good barometer of if Pitt is back after that losing spell.